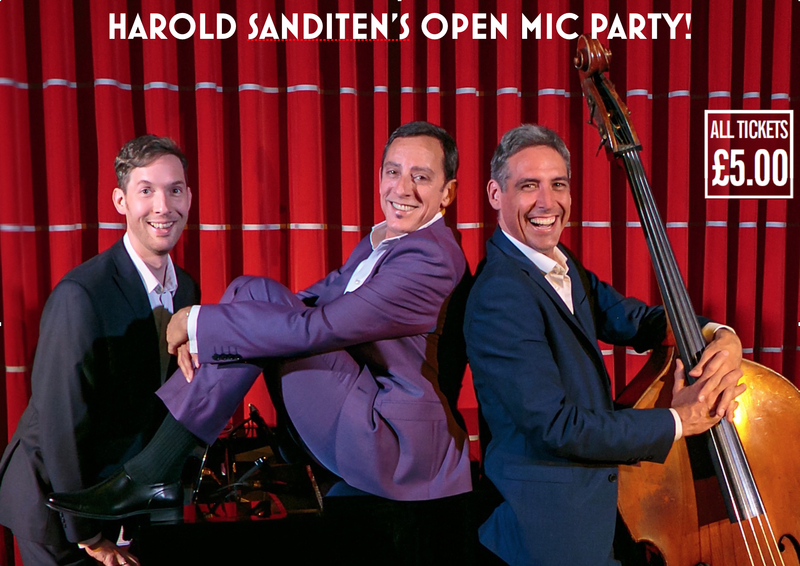 Welcome to HaroldSanditen.com! 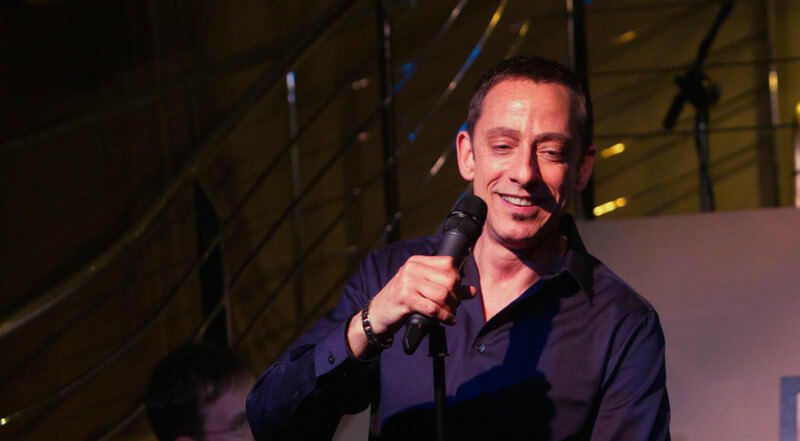 I am a jazz and cabaret singer and the host of the über-popular Open Mic Party, Live at Zédel – the longest running show in the Crazy Coqs – London’s most beautiful music room. On this site you can listen to audio samples, view video clips, find out about upcoming performances, buy CDs, and much more. HOTTEST NEWS! 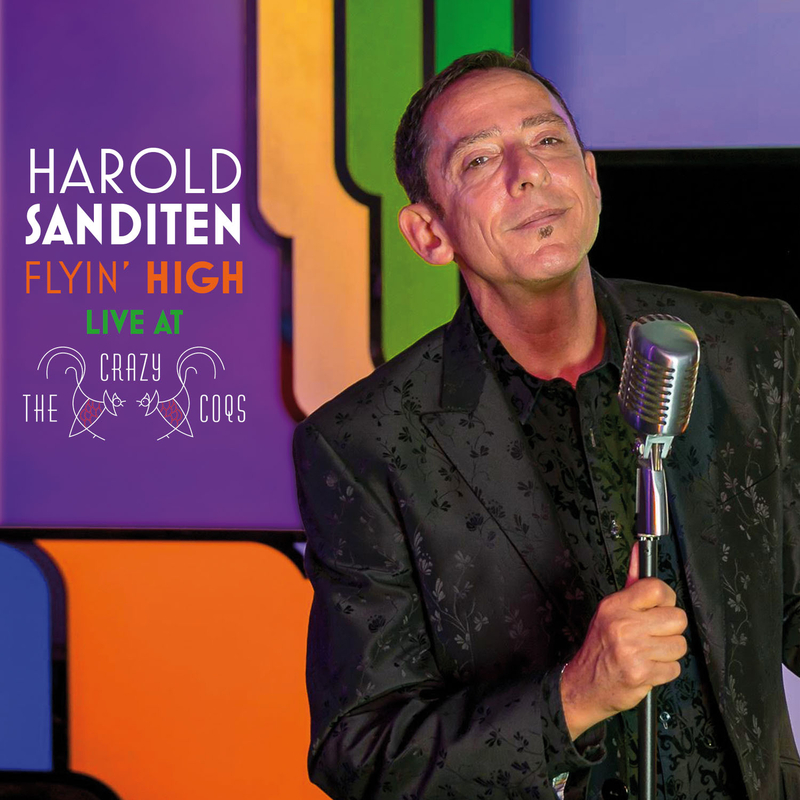 My newest CD, FLYIN’ HIGH: Live at the Crazy Coqs, is out! You can order copies HERE! A better match than Harold Sanditen, his music, his vocals and his elegant panache would be hard to find anywhere. When 16 April at 7.00pm. When 25 January at 8.45pm, 8 February at 8.45pm, 8 March at 8.45pm, 12 April at 8.45pm, 10 May at 8.45pm, 14 June at 8.45pm, and 12 July at 8.45pm. Doors open at 8.45pm, show from 9.15 to 11.15 pm.